Between all the shops, restaurants and activities to enjoy on your Truckee vacation, you may be worried about money going quickly. Maybe you find yourself bargaining, “Okay, well if I skip shopping today, I’ll go out to eat tonight.” Well, stop that! You deserve better, and we’re here to show you how you can get more of what you want. Truckee coupons let you cushion your budget without having to cut back on the fun. Find great deals enjoy more for less at restaurants and stores. Get discounts on various Truckee Things to Do that allow you to go from trying to pick just one to doing three or more that interest you. A day of paddleboarding, kayaking and bike tours sounds like quite the adventure, and an affordable one at that. After a Truckee vacation of hitting the slopes, does your gear need a little touchup? Take advantage of sport stores’ offers in the off-season, and give your equipment a makeover you can show off in the upcoming season. Some businesses also offer Truckee coupons around certain holidays, like Father’s Day and Mother’s Day deals, so you can treat the special people in your life to fun activities. And it gets even better too — Truckee coupons are easy to use. Just print them out from this page or pull them up on your smartphone to show the clerk when you check out. What reason do you have not to use them? This page is updated regularly with current coupons and deals, so make sure you check back frequently to score some swell bargains. You can find great deals with businesses all over Lake Tahoe, so if you want to explore outside of Truckee, be sure to swing by our Lake Tahoe Coupons page first. There are always discounts on rentals for kids & teens 18 and under (up to 50% off). 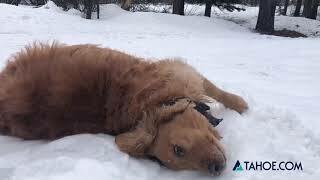 Show your local ID to receive the first day of your dog's stay FREE! Stop by for your FREE candle or bar of soap on us! 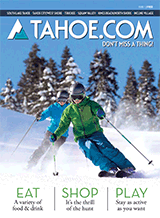 Mention you heard about us through Tahoe.com and receive $5 off per person upon booking. Thanking you for your service, all active military receive 10% off any booking. Enjoy 40% off all Pandora Jewelry , including all beads, rings, pendants, and earrings!